This level has medium difficulty. 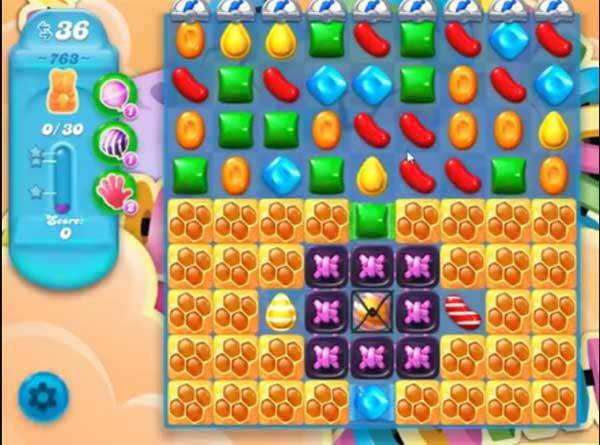 For this level try to play more near to honey blockers and make special candy as you get the chance. Combine them with each other to break more honey to save more bears. Or watch video from below to get more help. This is very hard, not sure i’ll ever get past it with 31 moves because the videos use 36 moves, I see a lot of that so how come some of us have less moves.